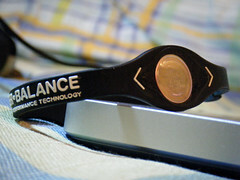 Power Balance is something I’ve been aware of for a while now. They sell wristbands and pendants with holograms which are supposed to react with the body’s natural energy field to enhance your balance, strength and flexibility. I wrote on tumblr that I had bought one of the bands despite the obvious scepticism. I wanted a cool looking wristband, and if in turn it somehow made me feel better, then that’s just a plus. I still feel the same about it, as I never fully committed myself to believing that it could really improve my balance. The thing that does surprise me is that they were able to reach a major deal like this to acquire naming rights to a very prominent arena of an NBA team such as the Kings. They’re a very young company where most naming rights go to huge multinational organisations. Quite a few sites were quick to criticise, with Gawker predictably forthright in their opinions on both the product and the deal. They mentioned the recent ruling in Australia which prohibits Power Balance from using the terms “Performance Technology” among others things in their branding due to not having scientific proof of their product’s benefits. The Maloof family are known for taking risks and trying to appeal to an edgier, younger crowd, and this is definitely another one of those occasions. They have potentially quite a lot to lose if Power Balance is proven to be a scam. Whether or not they have an option to release themselves from the contract if need be is another question entirely. My own personal hope is that the bands do work in some way, and that this naming rights deal proves to be a success, but we will have to wait and see on both those fronts.